Today’s run was actually really quite good. 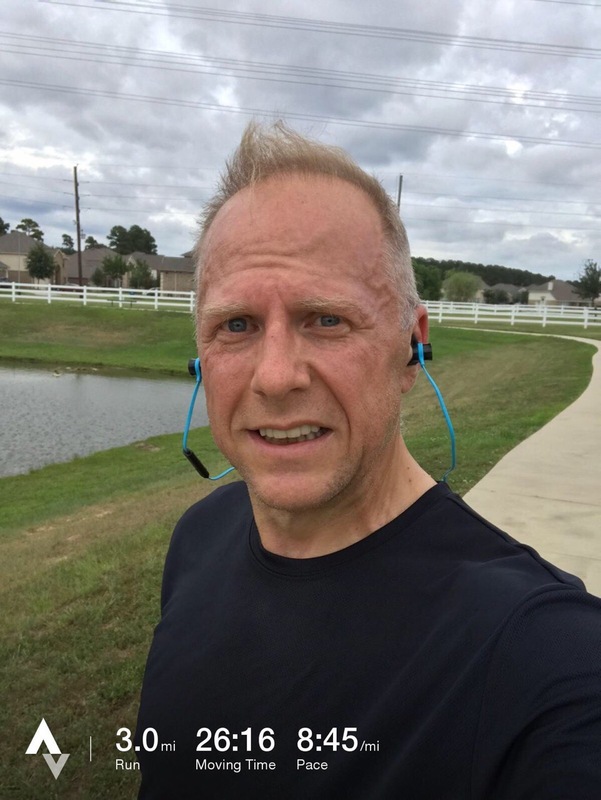 I wasn’t sure if I was going to be able to run due to Tropical Storm Cindy, but she actually made the weather nice for me since it was a mere 87 degrees outside when I ran and very windy. The wind kept me cool, and pushed me on half of my laps which felt good. I started with 100 push ups, and while I pushed just a little to get there, I’m glad I did. It’s a mental limit for me that I want to make a new minimum for push ups, so I’m glad I hit it again today. I then set out for my run, and the first mile pace was pretty decent without being too out of breath. As each mile progressed, I was slower, but the final pace was sub-9 which is what I aim for. I figure sometime around September I’ll start pushing harder to prepare for my next PFT, but for now, I’m okay with trending faster in a more natural manner. One thing of note is that for the last mile, my legs were burning, but for some reason, I didn’t get the dreadful feeling I usually experience when my legs burn. This time, I totally accepted it, and I actually was completely okay with it which made the run more pleasant. I don’t know if this is a new thing that will happen on every run or if it was unique to this run and wil possibly be a rare experience; only time will tell. Either way, it was a very pleasant run today, and I’m glad I was able to get out there and get it done.